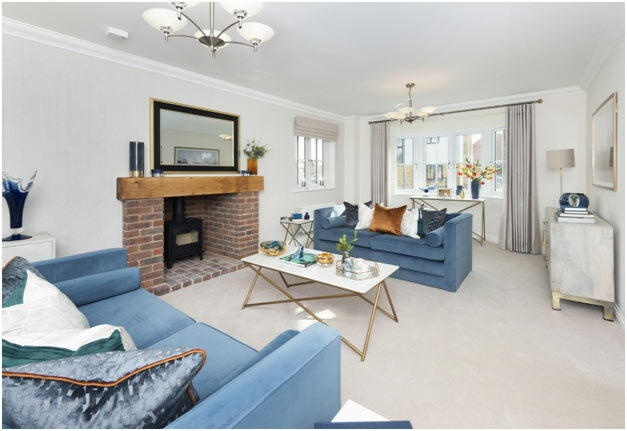 As the Spring fast approaches, a brand-new show home has recently been unveiled at Windsor Meadow in Marden, Kent, to kick off Millwood’s March campaign. 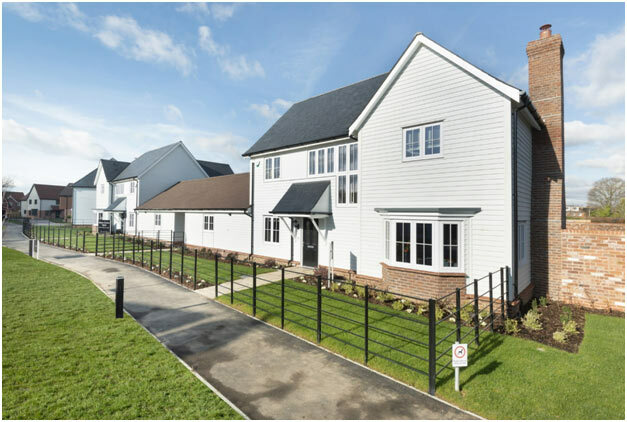 Helping buyers turn dreams into reality, Millwood Designer Homes is currently offering an incentive of £5,000 John Lewis & Partners gift cards to new home purchasers who reserve from Tuesday 19th February 2019 and legally complete by Friday 29th March 2019 at Windsor Meadow in Marden, Kent. The Wingham is a distinctive four-bedroom white weather boarded show home finished to a high specification, which was recently unveiled to showcase the best this beautiful development has to offer. 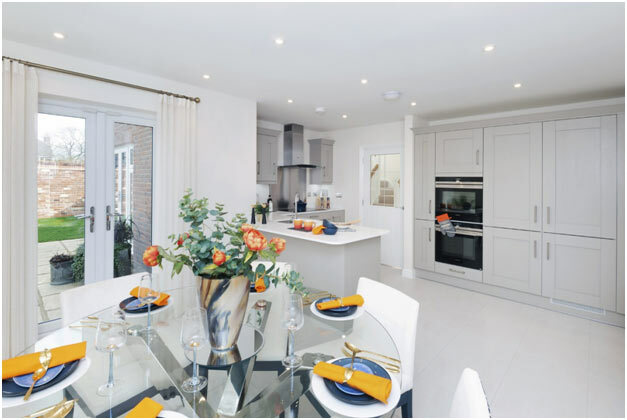 Windsor Meadow comprises a charming collection of semi-detached and detached three, four and five-bedroom homes, catering to a range of buyers. Situated within the idyllic Kent countryside, the development also benefits from excellent commuter links with trains from Marden station travelling directly into London Charing Cross and Canon Street in just under an hour. The ground floor of The Wingham features an open-plan kitchen and family room with utility room and French doors, providing the social hub of the home. There is a spacious separate living room featuring a traditional brick fireplace with a wood burning stove and French doors opening out into the rear garden, flooding the room with natural light. A separate dining room completes the ground floor and is ideal for formal entertaining. Upstairs, the master bedroom includes two sets of fitted wardrobes and an en suite. Three further bedrooms offer enough space for children and guests. All of the homes have been finished to the highest quality specification, with kitchens featuring integrated appliances and some with Silestone quartz worktops, whilst bathrooms are finished with stylish white sanitary-ware and chrome fittings. Windsor Meadow is ideally situated within a pretty village setting, with an abundance of local amenities and outdoor pursuits in Marden. Maidstone and Tunbridge Wells are both close-by for further leisure, retail and entertainment options. Whether it be for work or leisure, residents can travel from Marden Station into the capital in just under an hour. The nearby A229 leads directly to the M20 and M25, providing access to Gatwick Airport. The Wingham is currently £699,000. Prices for a three-bedroom home starts from £495,000. Help to Buy is available on selected properties. For more information please visit www.millwoodedsignerhomes.co.uk or call 01622 832576.